One medical group has figured out a way to sidestep the dangerously addictive drugs. In 2013, leaders at Partnership HealthPlan, the main public insurance provider for Medi-Cal patients in rural Northern California, discovered an alarming trend: Many counties where Partnership operated had among the highest rates of opioid prescribing and overdose in the state. Hydro­codone was the top-prescribed medication among Partnership patients, who include more than 570,000 Medi-Cal recipients from the vineyards of Sonoma County to the redwoods on the Oregon border. In Lake County, a poor, rural area bordering Sonoma, enough opioid painkillers were prescribed in 2013 to medicate every man, woman, and child with opioids for five months, according to a report by the California Health Care Foundation. 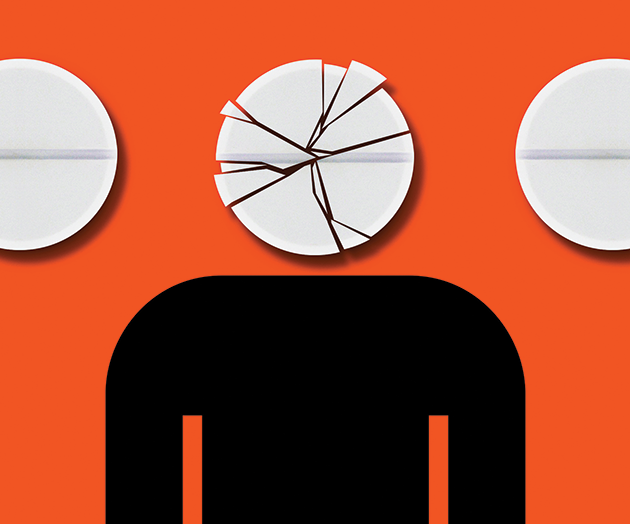 Opioids, a highly addictive class of compounds that includes OxyContin, Percocet, and Vicodin, are a uniquely American form of pain treatment: In 2014, the United States consumed nearly 70 percent of the world’s supply. As prescriptions have soared since 1996, when Purdue Pharma introduced OxyContin, opioid addiction and overdose rates have outpaced the trend. Yet chronic pain levels have increased, according to a recent study in the medical journal Pain—and many people who started on painkillers have transitioned to other illicit, stronger opioids like heroin or fentanyl. As a result, drug overdoses, most involving opioids, kill more than 1,000 Americans each week on average—more than HIV did at its peak in the mid-90s. Kubota and his Partnership colleagues were faced with a question: How does a system of doctors change the decades-old practice of treating pain—from an ankle sprain to a chronic back problem—with addictive pills? And if not opioids, what do you give patients in pain? Even for acute pain, like that from a broken bone, opioids are often prescribed when a carefully calibrated cocktail of over-the-counter medications can do the trick just as well, says Nora Volkow, director of the National Institute on Drug Abuse. For example, one study published by the Journal of the American Dental Association found that a combination of ibuprofen and Tylenol is more effective in treating pain after wisdom teeth extraction than oxycodone. Another study in the Canadian Medical Association Journal found that for kids with fractures, ibuprofen is just as good at curbing pain as morphine. Kubota and his colleagues took a multi­pronged approach. They required their physicians to attend courses about pain management, from “Rational and Irrational Opioid Prescribing” to “The Art (and Very Little) Science of Tapering Opioids.” They developed guidelines for emergency rooms and dentists—things like using Tylenol and local anesthetics before resorting to opioids to treat dental pain. They also prohibited doctors from prescribing more than 30 days of opioids unless a patient went through a strict authorization process. “We became the bad guys,” admits one doctor. But perhaps the most significant—and controversial—changes involved taking some opioids off the plan altogether. Partnership stopped covering potent, brand-name pills, many of which have high street value. It began suggesting antidepressants and anti-seizure medications for pain management. With the money Partnership saved on opioid prescriptions—about $1 million per month—it offered alternative benefits to patients, from chiropractic sessions to acupuncture. All of this was a tough sell for doctors. “We became the bad guys,” admits Kubota. The hardest part for a lot of physicians was having what Kubota calls “the talk,” when doctors would inform patients that the new policy likely wouldn’t cover their continually increasing opioid dosages. Kaiser Permanente of Southern California, which serves roughly 4.4 million patients, took a similar approach. According to the California Health Care Foundation, the Kaiser physicians now receive reports comparing their prescribing rates with those of their peers, and they require a signoff from another doctor specializing in pain management, oncology, or palliative care to give high doses of opioids or brand-name pills. Opioids prescribed by emergency department doctors are limited to three days. An online tool lets physicians consult a pain management specialist about specific cases in real time. Between 2013 and 2015, the health plan saw a 31 percent drop in the number of patients on unsafe doses.